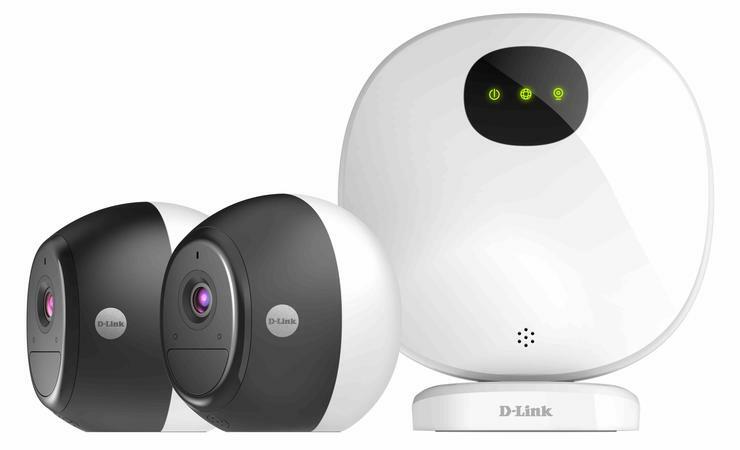 D-Link has launched their new Omna home security kit into the Australian and New Zealand markets. D-Link ANZ MD Graeme Reardon says that the company's “new Omna Wire-Free Surveillance Kit gives users complete flexibility to keep an eye on the things that matter most, both inside or outside of your home, no matter the weather." "There are no wires to run, and with high-power, rechargeable batteries powering each weather and dust-resistant camera, you’ll never have to worry about running ugly network cabling throughout your home, or be restricted to installing cameras close to a power outlet again." The D-Link Omna Wire-Free Surveillance Kit consists of of two DCS-2800LH Wire-Free Camera’s and a DCS-H100 Wi-Fi Hub. Each camera features a unique magnetic mount, IP68 water resistance, night vision and supports filming in up to 1080p. The kit comes with both Amazon Alexa and Google Assistant compatibility. Meanwhile, the DCS-H100 Wi-Fi Hub allows you to record snapshots and video clips to a microSD card, external USB Hard Drive or to the cloud via the mydlink Cloud Recording subscription service. The Omna Wire-Free Surveillance Kit comes bundled with a complementary 12-month Premium subscription. Once that runs out, D-Link offer three subscription tiers for you to choose from. The Basic plan lets you store up to seven days of recordings online and connect up to 3 cameras and is priced at either US$2.49/month or US$24.99/year. The Premium plan ups that to five devices and 14-days of video content for the price of either US$4.99/month or $49.99/year. Finally, there's the Pro plan. This lets you store up to 30-days of footage in the cloud and connect up to 10 cameras. It's priced at US$9.99/month or US$99.99/year. According to Reardon, "Omna Wire-Free provides homes or businesses an easy choice to step up to the next level of smart surveillance solutions." The new Omna Wire-Free Surveillance Kit is available now through authorised D-Link resellers and retailers across Australia and New Zealand. In Australia, the kit has a pricetag of AU$799.95. In New Zealand, the home security package is priced at NZ$899.99.